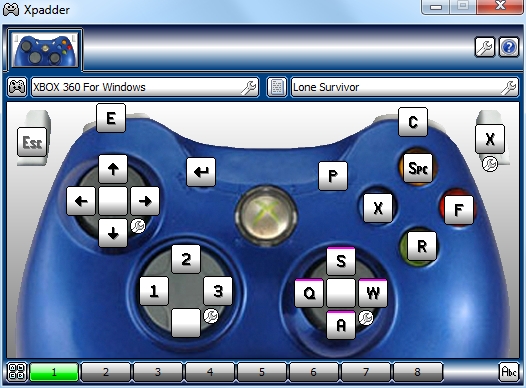 Here my first Game Profile to play Lone Survivor with Xbox 360 controller. Left Stick to move, X or RT to shoot, RB to switch in combat mode. Y open the inventory, A is used for realoading and B to toggle Flashlight on or off. 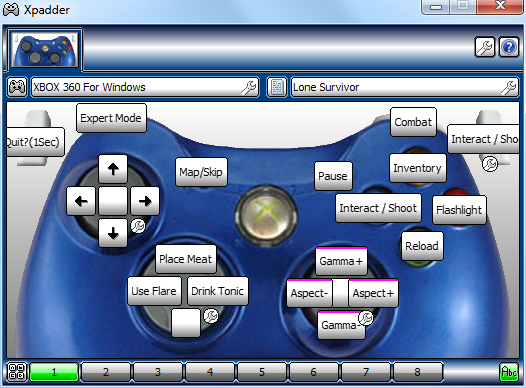 Hotkeys for item are on DPAD. You can also use the right stick to adjust Aspect Ratio (Zoom) and Gamma (Brightness). If you keep pressed LT for more than 1 sec you have access to the quit dialog. I've added this timer for safety reason.